One way to butterfly the meat is to cut the beef in the center vertically across the bone and open the meat to each side and then run your knife horizontally once across in-between the meat to butterfly it open on each side. 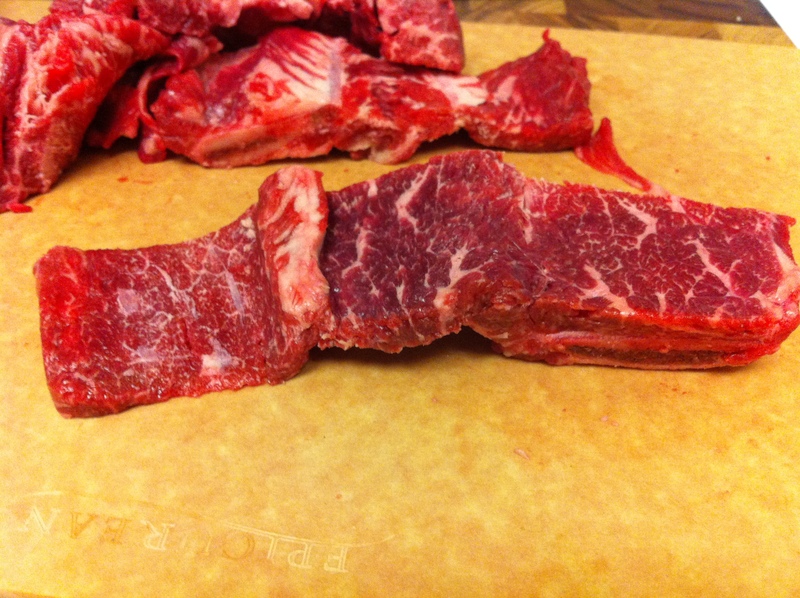 Another way is to cut the meat horizontally across and parallel to the bone right to left about 3/8 in (1cm). Cut almost to the edge but do not separate the meat . 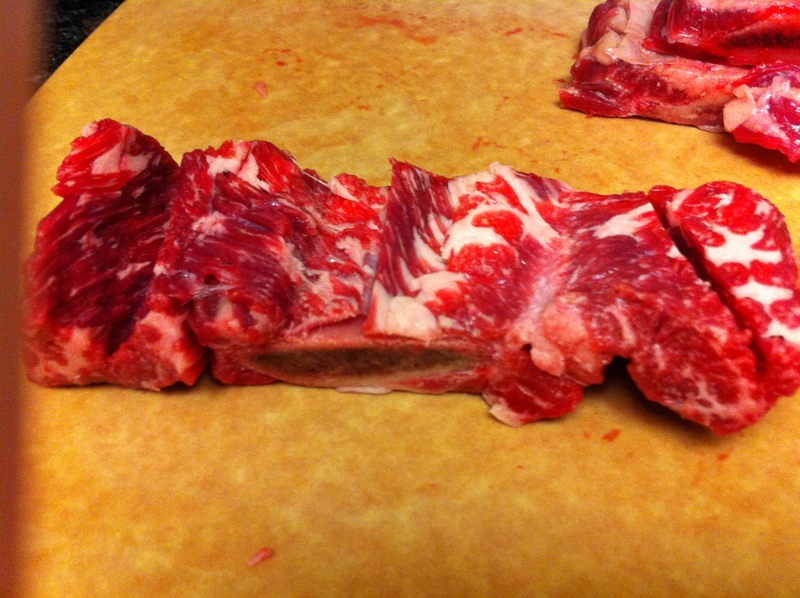 Do the same once more in the opposite direction so the meat opens up like a folding fan or a folding screen. The pictures below should be much more helpful than this description. Marinate the short ribs in the Korean BBQ sauce just enough so that the marinade coats all sides of the meat for at least 1 hour. If you have less than 1 hour to marinate, then add more sauce. 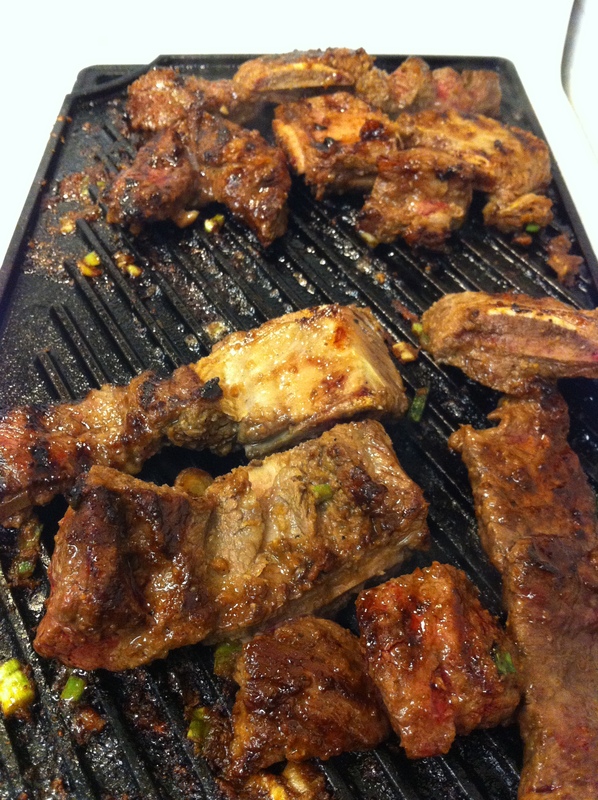 Grill the short ribs on a grill pan. 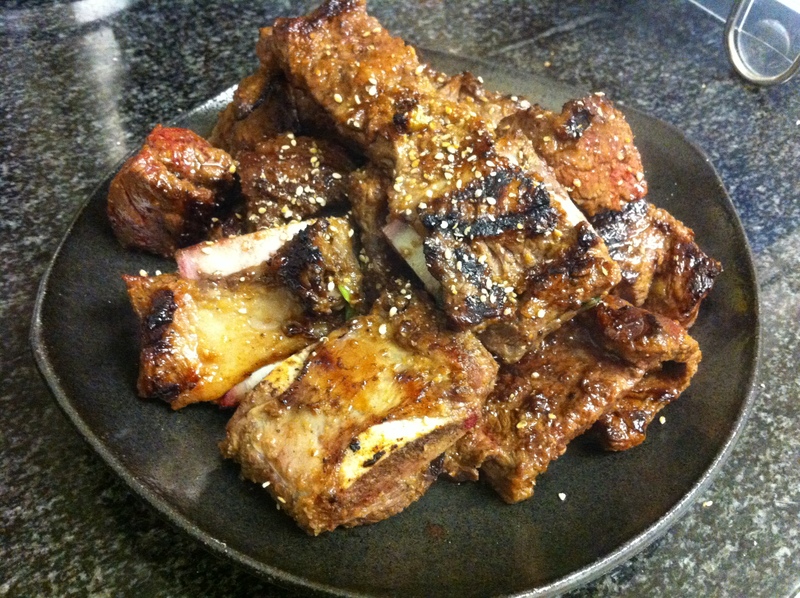 You can also place a skillet on high heat, drizzle with sesame oil and pan fry the short ribs. 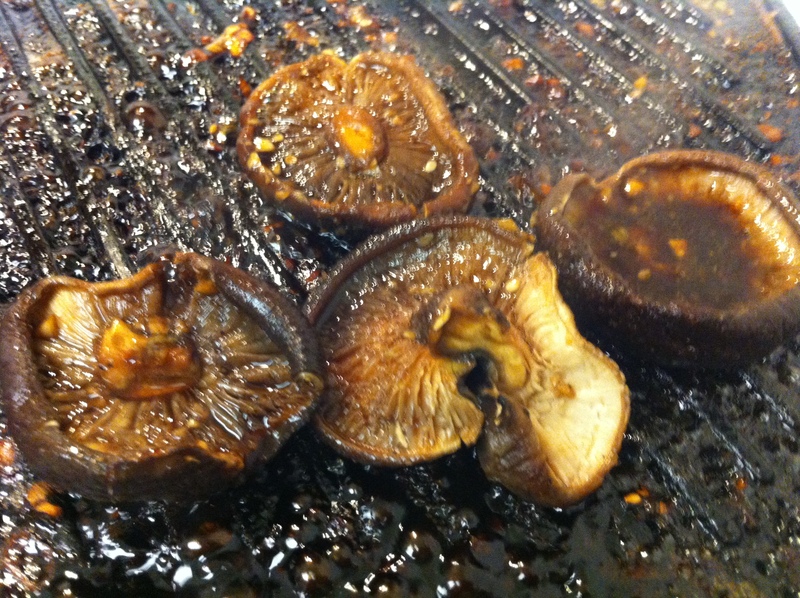 *OPTIONAL: I like to marinate shitake mushroom in Korean BBQ sauce and grill it with the galbi. This entry was posted in Good for dinner, Good for lunch, Meat/Chicken and tagged Korean BBQ, Korean BBQ Marinade by gangnamkitchen. Bookmark the permalink.